The Editorial Team of Dinamisia: Jurnal Pengabdian Kepada Masyarakat invites you to submit your paper for Vol. 3 No. 1, June, 2019. 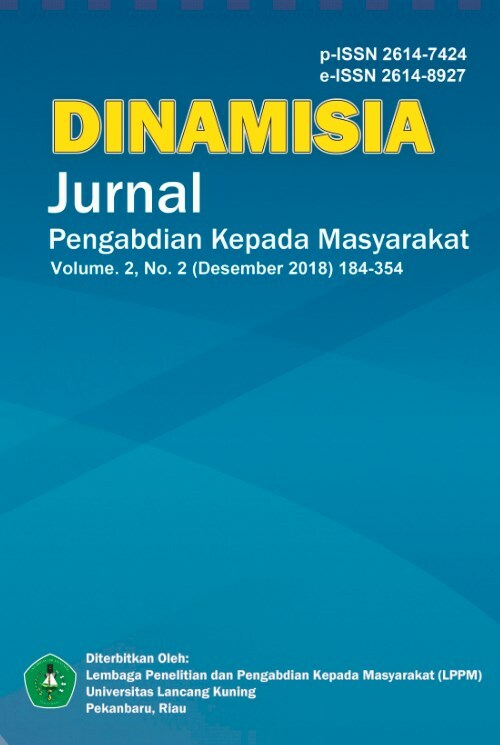 Focus and Scope of Jurnal Dinamisia is a National Journal based on the results of Community Service Activities in Applied Science and Social Science.